On Tuesday, 28th March 2017 at about 10.00am based on information 2 suspected Boko Haram terrorists carrying out surveillance on Kareto and Dangalti villages were apprehended by troops of 158 Task Force Battalion of 5 Brigade, Nigerian Army. Similarly, one Bulama Kailani Mohammed Metele from Tumbun Bera, a confessed Boko Haram terrorist belonging to Mamman Nur's faction of the terrorists group under the leadership of Abu Mustapha, apparently tired of the lies of his commanders, surrendered himself to troops of 145 Task Force Battalion, 5 Brigade, troops at Damasak. 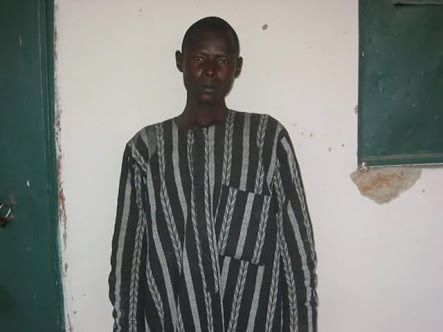 It has been confirmed that the surrendered suspect, Bulama Kailani Mohammed Metel, was a high profile terrorist as he is at Serial number 253 on the Nigerian Army's Wanted Boko Haram terrorists poster produced recently. He is currently undergoing further interrogation.